Keep the mood restful in the bedroom by choosing soothing colors. Shades of blue, green and lavender are ideal. Neutral shades of beige or cream can provide the base upon which colorful accents are added. Avoid white, green or blue light at night time from televisions or other devices to promote a more restful sleep. Light streaming in from windows can also be disruptive. Consider using heavy, lined curtains or blackout curtains to screen out natural light in the morning. Brighter overhead lighting should be used for dressing purposes, but smaller more subdued lamps employed at bedtime. Nightlights should be strategically placed between the bed and the bathroom to light the path at night. Small LED lights can be plugged into wall sockets easily. Items on the bedside stand should include; a lamp, a clock, a phone, and a flashlight. An emergency egress (exit) should be available and useable by the occupants. Windows that are at least 30” wide are best. If the bedroom is upstairs, then a collapsible fire escape ladder should be placed next to the window. A smoke alarm should be placed outside of the bedroom. The bed itself is very important for accessibility. Most people do not have the correct height of bed for their body. Standard bed height is 22” but, actual bed heights vary widely due to various frames, box springs and mattresses. The person using the bed should be able to sit on the side of the bed and have feet rest flat on the floor. If a bed is too high, it is difficult to get into. This is particularly painful for people with bad hips and legs. If it is too low, then it is difficult to get out of the bed. Eliminating side and foot rails can prevent injuries and make it easier to get in and out of bed. 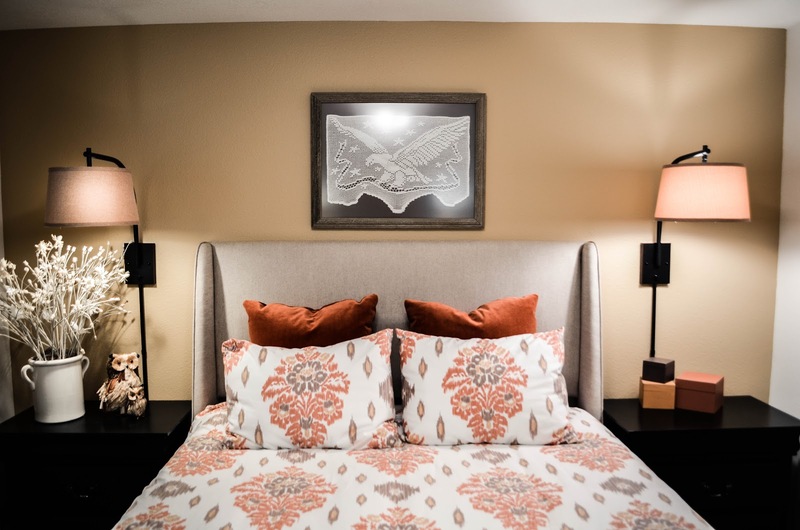 Instead of using a wooden bed frame, consider a “hollywood” metal frame on casters with a headboard only. 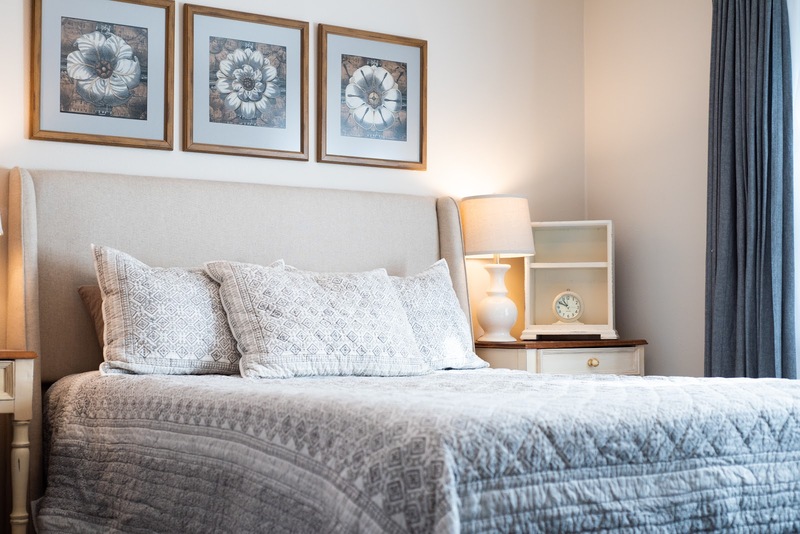 A clear area of 4’ – 5’ on the sides and foot of the bed is critical, especially if a person uses an assistive device for walking or a wheelchair. Decluttering the room can help reduce falls dramatically. Use a clothes hamper for dirty clothes instead of having them pile up on furniture or, worse yet, on the floor. A small table or shelf unit can hold items that would normally be stacked on the floor. The type of floor covering is important, too. Often bedrooms are carpeted for warmth, but if the room is not carpeted, then avoid throw rugs or rugs with fringes. Use larger rugs that can be anchored to the floor and not slide. Their height should not cause a trip hazard or interfere with using a walker. Bedrooms can be our havens of rest and our personal sanctuaries. They should ideally be warm, comfortable and tranquil. By observing some of these simple suggestions for accessibility, they can also be safe.